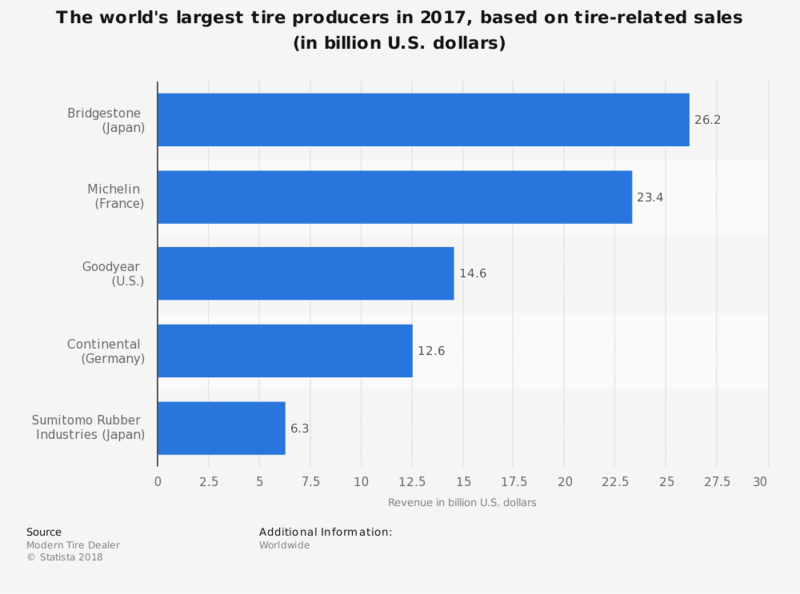 Although rubber products have been used by local populations for thousands of years, it is only recently that rubber products suitable for tires and other products have been available. Vulcanized rubber was invented in 1839 by Charles Goodyear, and it is still considered the modern form of rubber. Before Goodyear perfected the process of vulcanization, rubber products would change their characteristics based on local weather conditions. If it was hot, then the rubber would become sticky. If it was cold, then the rubber would become brittle. Although rubber is a natural product, the tire and rubber industry rely on synthetic rubber products as well. The technology to develop synthetic rubber was developed in the United States during World War II as their access to natural rubber supplies was limited due to the conflict. Made from crude oil, there are currently about 20 grades of synthetics available and are used in a variety of products. 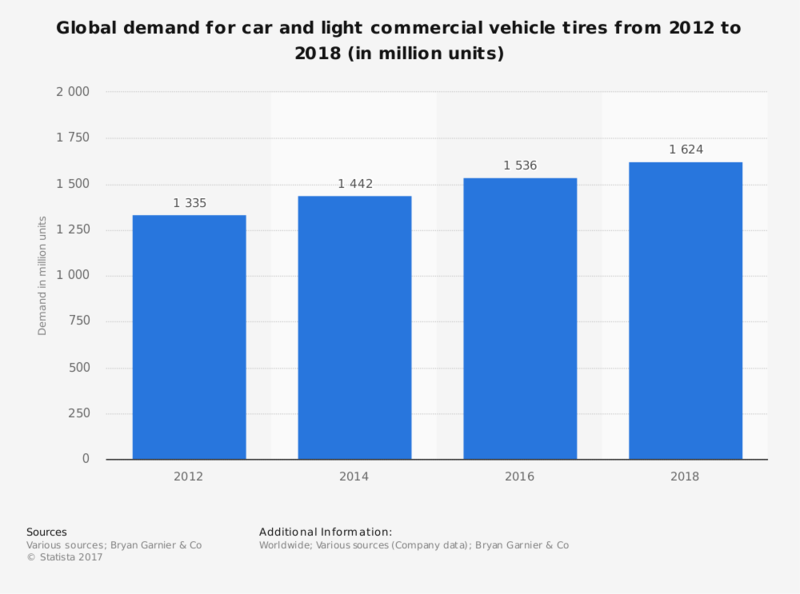 As long as we have vehicles within our global transportation networks, there will be a demand for tires within the rubber industry. Because of its unique qualities, there will also be a natural demand for other rubber products, from clothing to office supplies, that will keep revenues rising for the industry. With the exception of 2009, which was the peak year of the Great Recession globally, natural rubber production levels have continued to increase. Since 2011, synthetic rubber production has remained stable as well, hovering around 14.3 million metric tons globally each year. Despite these high levels, demand continues to outweigh productivity for the industry. Because of production shortages, the price for rubber products will continue to see value increases over the next 5-year and 10-year periods. Increased production by the industry will help to satisfy demand to some extent, as well as total areas of production for natural rubber. In 2017, the average price of rubber per ton was just over $1,700. 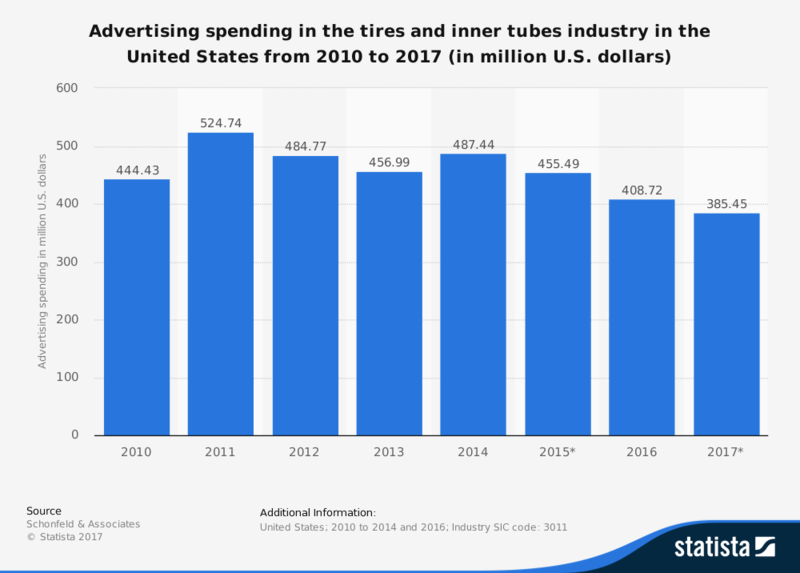 Although the price for rubber has almost been halved since 2011, the revenues and profitability of the industry are unquestionable.